Our day starts by turning all the equipment on and making sure we are ready to “rock n roll” for the day ahead. Messages need to be attended to, as we have a paging service that is diverted to at the end of the previous day. Anyone can leave a message which is sent as an SMS to Dr Seymour. We respond to the messages that are also emailed to the surgery first thing in the morning; but many times we find out that Dr Seymour has beaten us to it! I think this kind of service speaks louder to our patients than any sign could. 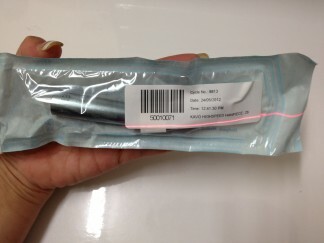 The autoclave is emptied and the instruments are barcoded and recorded and put in their right place. We then make sure trays of instruments are set up correctly from the night before and that any changes on our day sheets have been corrected. Each and every appointment is confirmed either by SMS or spoken to personally. nurse attends to the phones and does any reception duties as needed. The smooth running of the practice has a lot work behind the scenes. We try to anticipate and keep on time as much as we can. Sometimes things don’t always run on time as patients can be held up in traffic, procedures take longer than anticipated, or even patients come in with different problem to the treatment set up for. Everyday we also allocate emergency slots throughout the day and in the evening. Patients are our number one priority and if someone comes down with a toothache we try to see them on the day. All x-rays and OPG’s are digitally done at the surgery which also saves time. Stocktaking is performed weekly and at the end of each month we order what we need. Every Friday I follow up all incomplete treatments and we give the patient a courtesy call, just in case they have forgotten to continue treatment. There are six nurses working here, two will be flying the coup as they are dental students and graduate next year. We all work together as a team and share the work. 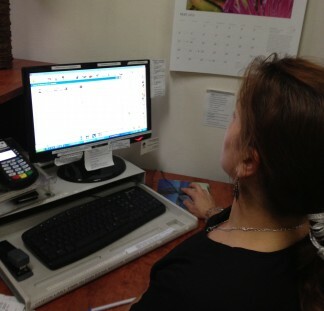 We handle all aspects of the job from the front desk, answering phones, to assisting the dentist and ordering stock etc. 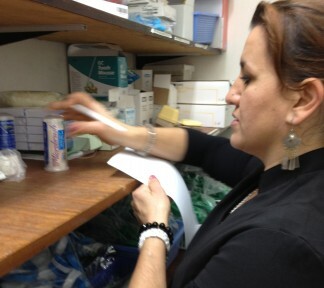 The nurses rotate after a couple of patients throughout the day – “Variety is the spice of life”. Unfortunately Dr Seymour and Dr Watson cannot swap with any of us. These are some insights on a nurse’s perspective of SeymourDental and I hope you have enjoyed finding out a little of what we do here. Next week: A Day in the life of a dental student by Rebecca Duke.